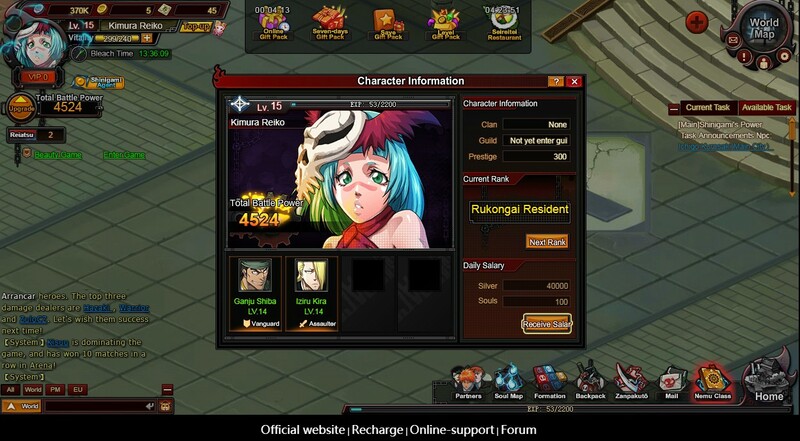 Bleach Online is a standard Browser-based MMORPG game. 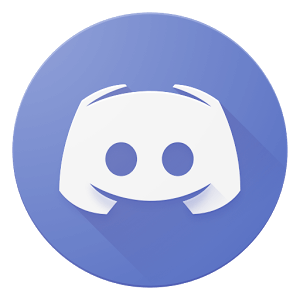 You complete quests and missions to become powerful enough to defeat strong enemies, bosses, or even other players in PVP combat. You've seen these kinds of games before. You pick a class, choose a side to fight for, and defeat enemies or complete fairly mundane tasks to progress through the ranks. The tutorial is long, but not arduous or draining. The gameplay is about what you'd expect in a game like this; it's not fantastic, but it is a good way to kill some time while you have nothing better to do. It's worth at least trying, especially for those familiar with the anime and manga series for Bleach. If you enjoy them, you may find some enjoyment in the game progression presented here. I will go over some of the game's various aspects throughout my review, without spoiling anything. The game's layout may be confusing to beginners, but it's all explained to you in a Tutorial which you get experience for completing. You can also equip and upgrade weapons and abilities in this game, which is nice to be able to do. 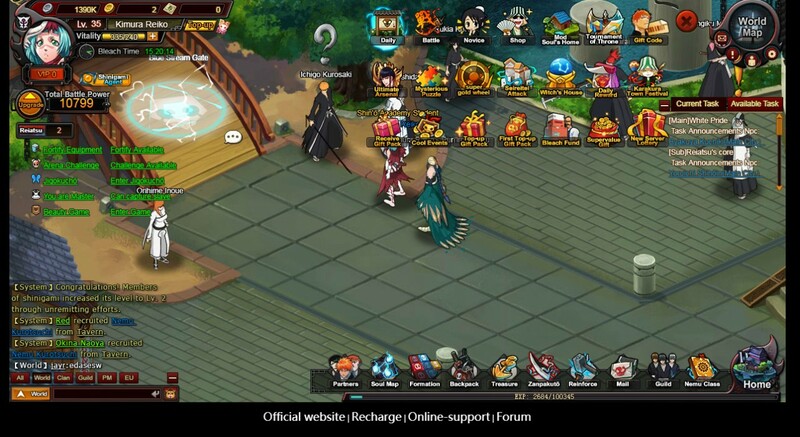 This game, to me, is fairly reminiscent of a Naruto MMORPG that's also online and browser-based that I have played in the past. In fights, you position your team in a way that will protect more offensively inclined fighters to take less of the attacks from enemies, and more defensively inclined fighters to block attacks from enemies. The strategy aspect is one of the better executed aspects of the game and changing it up sometimes to see how you can fare in battle with a different layout it interesting. It's also fun to upgrade your team and see what new abilities they obtain. As you can see above, the UI becomes messy when you unlock all the options, and that's one of my biggest gripes about the game. 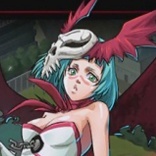 Being able to complete trivia questions based on the Bleach anime and manga is a nice and fairly unique way to allow players to earn some extra silver that I haven't seen in many games of this style before. One feature of this game that perplexed me was the "Girlfriend" feature, which feels like it's ripped out of another game entirely and has no place in this game. In fact, most features in the "Home" screen seem this way. I wouldn't waste a lot of time with that, just do what you have to and continue your progression through the main quests and side quests accordingly. It's a fun time-killer and it's certainly not amazing, but it does what it sets out to do, I think.